It was not the usual sunny weather in Cannes and rains poured in quite heavily. The stage was set for an unusual conversation with one of the most acclaimed actors of India in recent times, Nawazuddin Siddiqui. MIG: You played Sadat Hussain Manto in the film Manto, one of the most controversial yet respected writers India has ever seen. What was your preparation for the role? Siddiqui: I am not a writer so I can only behave like a writer. It’s not possible to be a writer, so what I could do was create an impression of a writer on screen. I have tried to do that. I have always tried to portray the ground reality of a character whenever I acted. Manto’s writing in itself is depiction of truth in every form and Nandita Das, our director has always told us to exercise that in our performances. Not only had I, but each one of us tried not to be a cliché when portraying their parts in the film. MIG: The film also revisits four of Manto’s very famous short stories. Is there a personal favourite? Siddiqui: I can’t specifically say one. I like all the stories of Manto. I read them and I love them. I had done Toba Tek Singh may be twenty years ago so I relate to it. Otherwise stories like Khol Do, Kali Salwar or Thanda Gosth are my favourites. MIG: Your journey in the film industry has been an inspiration for many struggling actors. You used to do cameos and character roles in films and you are offered to do lead roles now. If you are asked to do a small character in a film, will you still do it? Siddiqui: No, I will not do it anymore (laughs). It’s as simple as that, why will I do them? I am done with my quota of small roles. MIG: Is there a director in India who is there on the wish list that you want to work with? Siddiqui: If I take names, the others will feel bad about it. As an actor, I only look at stories, script and most importantly my character in the film. There is also a selfishness that works and I think it’s quite normal that I look for characters that will challenge me and push me to the limits. MIG: You have been a delight for independent filmmakers in the past and supported a lot of them with your performances. Now that you have reached a stage where you can dictate terms, do you also want to produce some films for first time filmmakers? Siddiqui: Yes, certainly. I have been trying to do that. I am a co-producer for Manto and there are some upcoming films as well. My brother is very much into doing the scouting for me. I definitely want to produce films. MIG: Coming back to Manto, the screening at the Un Certain Regard of the Cannes Film Festival is hailed all over the country. What was the response? Siddiqui: I have seen people crying in the audience, there were people who came out with a very satisfied face. And the best part was I think the film has tried to hit the conscience of people. There were many who came up to me and said that the film was very well timed. MIG: What did Nandita tell you as the first brief of the film? How was the experience? Siddiqui: See when Nandita told me that the film is just not the stories of Manto but his life as well I was hooked to it. Manto’s life in itself is very interesting. This was perhaps four years ago and we tried all these years to make the concept that she was building come true. I just understood that this character will let me achieve a lot and will take away a lot of things that I always wanted to give as an actor. Nandita’s research was impeccable and what I got in my hands was already half- baked. It was a pleasure working with her. 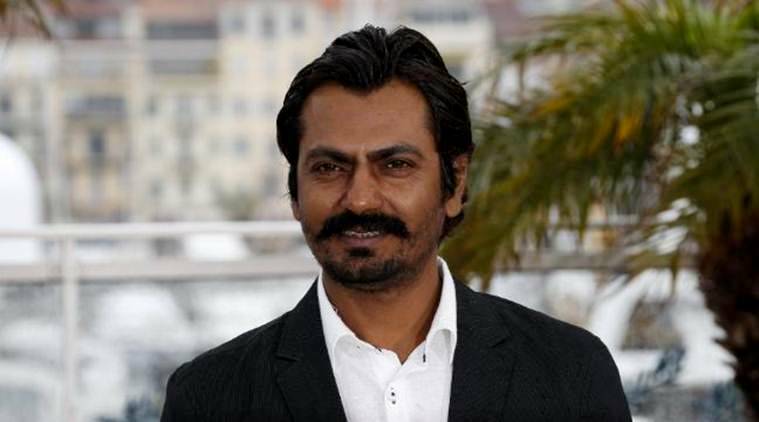 MIG: Is Nawazuddin Siddiqui looking for international projects like many of your contemporaries are? Siddiqui: No for the time being. I am satisfied that all my directors in India are giving me characters that are challenging and I am happy doing those. Just for the sake of branding that I am an international star, I would not do that. How many films in the world are like Manto, very few… So, I have no such predetermined affiliation for international projects. I am proud of Nandita and a film like this is no way less than any international film. MIG: Do you think you are still type casted for certain kind of characters? Siddiqui: I think it’s a wrong conception. If I am doing Bal Thackrey and Manto at the same time how can one say that I am type casted. The Bollywood heroes are type casted, they do the same thing all their life and they are never asked these questions. Now the films made in India are allowing actors like us to step in the shoes of lead characters and that makes us versatile. So, those who are still doing this (stretches his hand) are type cast, not me.